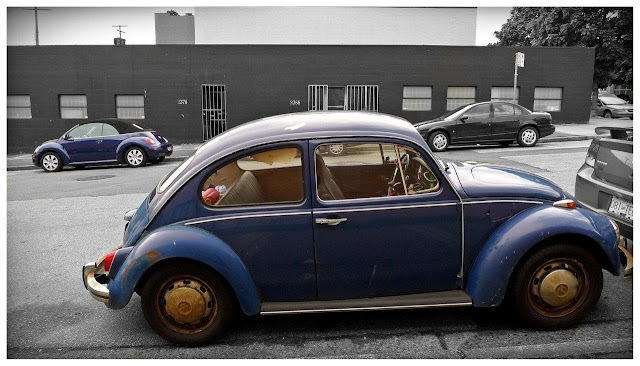 I happened to notice two blue VW Beetles parked across the street from each other, 30-40 years apart in age. Even the blue is pretty close in tone isn't it? The major difference? The yellow stained mags of the old Beetle.... reminds me of old tea stained teeth! !